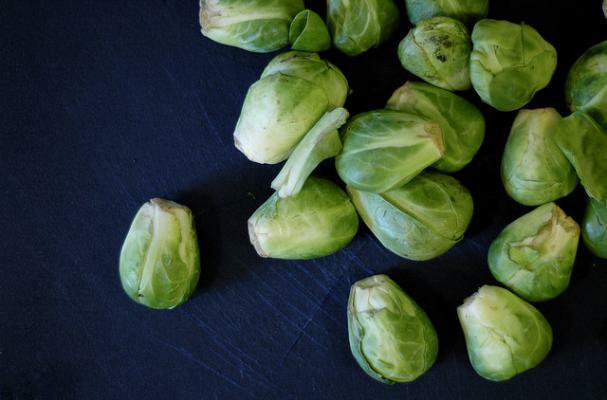 Brussels sprouts always get such a bad rap -- smelly, slimy, gross, hated by adults and children alike. While I have had my fair share of bad brussels sprouts experiences, I've never understood the general dislike and disgust associated with these tiny little cabbages. 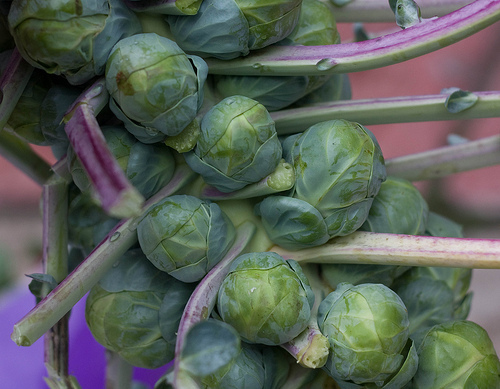 The sprouts themselves are the buds of a wild cabbage cultivar and related to broccoli, packed with fiber and tons of vitamins and minerals! The key is to buy and use them fresh, and if you can find them on the stalk (seen below), do it! Nearly every bad brussels sprouts experience I have had involved frozen sprouts! Roasted, baked, sauteed, shredded -- there are so many ways to prepare these healthy little veggies that it's amazing they are still ranked with lima beans. Here are 5 of my favorite brussels sprouts recipes, all gluten free, and sure to turn haters into lovers. Simply roasted sprouts with sweet spiced and roasted pecans and salty Gruyere make an incredible autumn salad - perfect for entertaining. It may sound odd, but this recipe is unbelievable! Apricot jam, a hint of lemon, dill and sweet roasted brussels sprouts are an amazing combination. Vegan/Dairy free. A delicious Mediterranean on easy roasted Brussels sprouts. White wine, crispy-salty bacon, sweet-chewy figs and tender brussels sprouts are the foundation for this hybrid recipe. Dairy free. Seriously, if nothing else will win over you/your kids/spouse/best friend/neighbor, this recipe will! Brussels sprouts baked with cream cheese-parmesan mixture until crispy golden brown on the bottom and bubbling merrily on the top - a mouthwatering combination with spectacular results! I want so much to like Brussels sprouts! I have tried them roasted with olive oil, salt and pepper, and bacon crumbs, boiled, and steamed. I have even tried them in vegetable soup and chicken pot pie. They are bitter no matter how I cook them. I have grown my own and have tried fresh store bought. What am I doing wrong?